Ten years ago, Las Vegas was terrorized by "CAST" -- a vicious serial killer responsible for nearly half a dozen brutal murders, and who tested the mettle of the LVPD's new Captain, Jim Brass. After a two-year spree, CASt suddenly disappeared and has not been heard from...until now. Gil Grissom and his CSI team are called in to investigate a homicide that perfectly fits the notorious criminal's modus operandi. But all hell breaks loose when a reporter made famous by the original cases receives a letter from someone claiming to be CAST -- and who says he has nothing to do with the latest slaying. Max Allan Collins is a New York Times bestselling author of original mysteries, a Shamus award winner and an experienced author of movie adaptions and tie-in novels. His graphic novel Road to Perdition has been made into a major motion picture by Tom Hank’s production company. 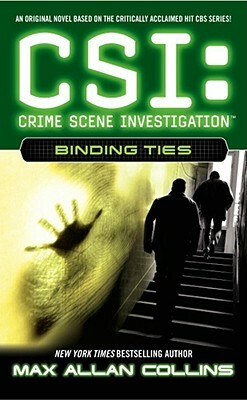 He is also the author of the tie-in novel series based on the original CSI.